Somewhat surprisingly, the most controversial movie of the summer of 2016 isn’t a film with any sort of incendiary political theme. It’s the reboot of Ghostbusters. 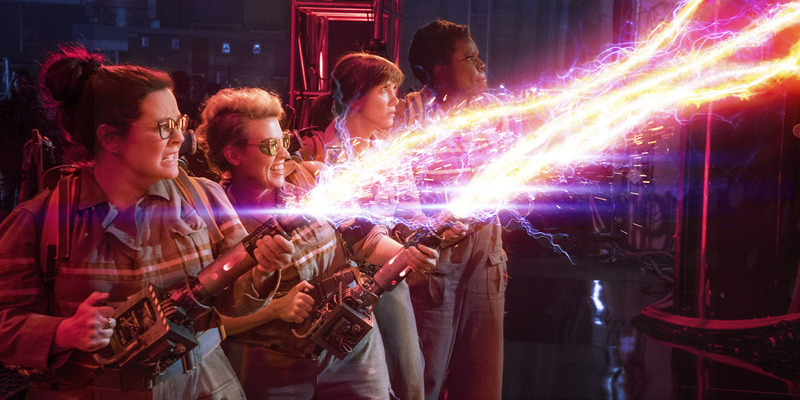 Ever since the film was announced two years ago - along with the news that the four Ghostbusters would be played by women (Melissa McCarthy, Kristin Wiig, Kate McKinnon and Leslie Jones), a lot of diehard fans of the original have been forcefully condemning the project. The very idea of remaking such a classic has been called sacrilege. The first trailer for the film was not especially well-received, and is now the most disliked movie trailer in YouTube history. Some have attacked the “political correctness” of casting the reboot with a female cast (albeit with cameos from most of the original cast), while the film Internet virtually exploded Tuesday over a video posted at the site Cinemassacre, in which James Rolfe announced that he wouldn’t be reviewing the movie, because he refuses to see it. Now, the director of the new Ghostbusters movie, Paul Feig, has addressed the controversy in a new interview, in which he states he’s proud of the film and his cast and urges fans to treat the new Ghostbusters fairly. It’s hard to disagree with Feig here. He’s adapting an iconic property about which a lot of people have strong feelings. But this is a film that deserves a chance, and certainly not sight-unseen dismissal. Feig is a first-rate director of comedies - his last three films, Bridesmaids, The Heat and Spy are all significantly above average. The cast has a lot of talented people in it, including Kate McKinnon, who’s got her first big movie role after four years as MVP of Saturday Night Live. No, the first trailer wasn’t the greatest in cinematic history. But the second one, which is now online, is an improvement. And anyone who has followed movies for any period of time knows that judging a movie by its trailer is often a mistake. If filmgoers want to treat the 2016 Ghostbusters as a crime against cinema, they should really make the effort to see it first.